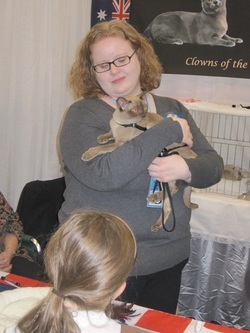 In October of 2009 the American Kennel Club (AKC) and the Cat Fanciers' Association (CFA) joined together for the first time in hosting an event called "Meet the Breeds." 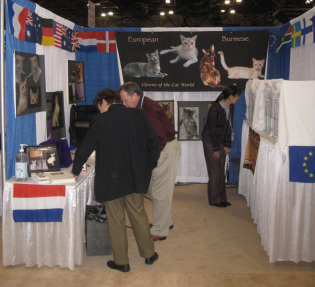 It was held in New York City, at the Jacob Javits Center. 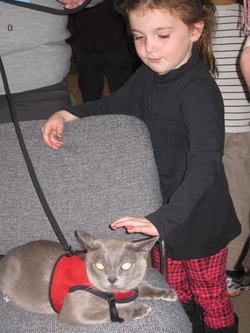 36,000 people attended the event where they were able to meet and interact with dogs and cats of all breeds! Even a few celebrities were spotted! The event was held again in October of 2010. Our Breed Council has participated in both years. 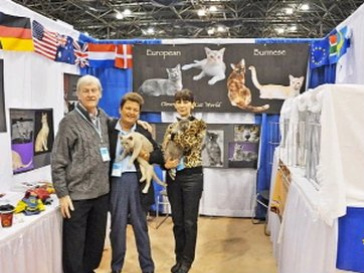 The first year we had Debra Comeans, Ann-Louise De Voe, Allene & Ed Keating, Judith Kollmann, Nancy Wood and John & Anna Smart representing our European Burmese. In 2010, we had John & Anna Smart, Wayne Trevathan, Ginger Gunlock, Lauren Castle-Flynn and Perry & Cheryl Coleman attending. 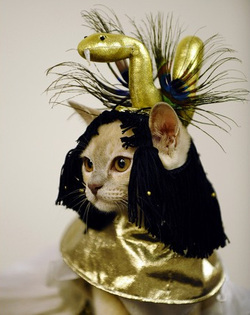 could vote on their favorite cat.